Key details have been revealed which will see major improvements made to a historic area of Middlesbrough town centre. Albert Road, which is a main thoroughfare in the town, runs from Middlesbrough train station to the town centre and Teesside University. It has already seen various developments in 2017 including the Holiday Inn, Bistrot Pierre and the ongoing restoration of the Town Hall. New plans set out by Jomast will ensure that the positive regeneration in this area continues into 2018. The Stockton based property developer has announced that work has started on 15 – 25 Albert Road, with the vision being to convert the eclectic mix of historic buildings into commercial units while conserving their period features. These empty properties will be fully refurbished and extended to attract a mix of businesses including restaurants, cafes, coffee shops and independent retailers. A number of residential units will also be available on the upper floors. In addition to this, Prudential House, which sits at 27 – 33 Albert Road, will undergo improvements including new windows and a full exterior clean. The regeneration work is scheduled to take around 12 months. Mark Hill, Commercial Property Director at Jomast spoke about the plans, saying, “The historic and architectural significance of this section of Albert Road represents the quality of architecture throughout the historic quarter of Middlesbrough – something which Jomast are dedicated to conserving. 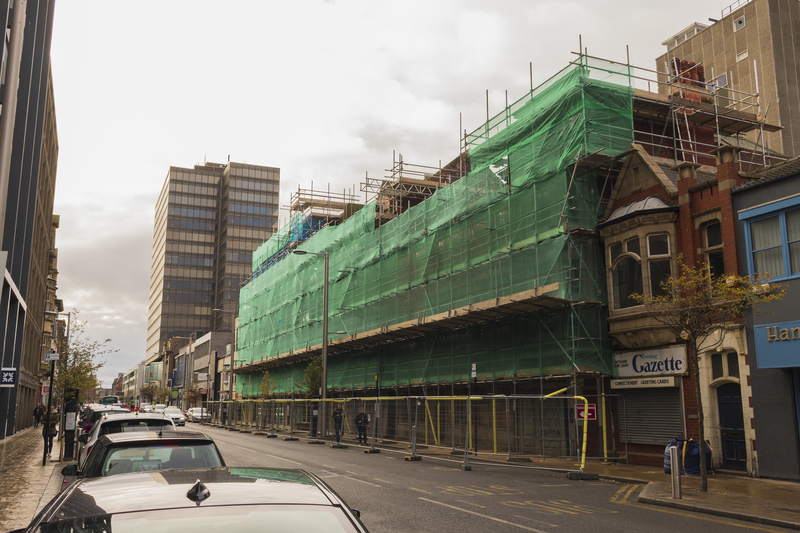 The work on Albert Road follows a string of successful regeneration projects for Jomast in Middlesbrough and the surrounding areas, including the popular Bedford and Baker Streets, Zetland Buildings in Exchange Square, Sun Alliance House and Wilsons Courtyard on Albert Road and the Queens Square area of the town. “Jomast are committed to improving and regenerating Middlesbrough, and the work which has started on Albert Road is testament to this” Mark added. Anyone interested in leasing the units on Albert Road should contact Jomast directly at enquiries@jomast.co.uk.